Smart Retailer is the definitive resource for industry information and wholesale merchandise for independent gift and home-decor retailers. Smart Retailer covers all of today’s popular styles, including country, traditional, vintage, coastal and more, and it provides new-product previews, trend reports, display ideas, and valuable business advice to help retailers build smart businesses. Smart Retailer was established in 1993 as Country Business magazine with a focus on the country gift market. Since then, the magazine has expanded its reach to include all of the popular gift and home-decor styles. In 2012, the magazine changed its name to Smart Retailer to stay current in the market and to reach a widening audience. Today, Smart Retailer is a valuable resource for independent retailers of all types of gifts and home decor. 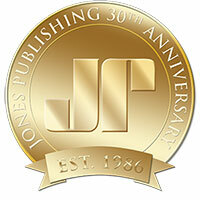 Smart Retailer is a Jones Publishing publication.